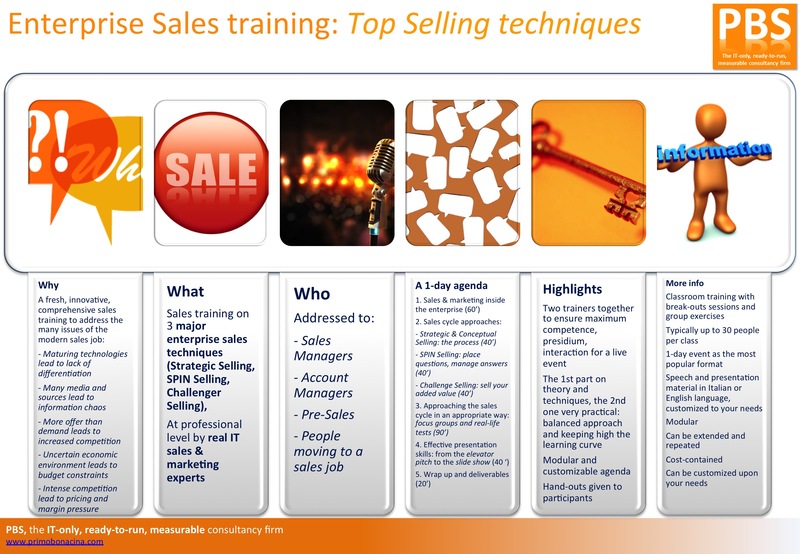 PBS know very well the IT market and have lots of experience in sales & marketing training. We can train your personnel on 3 major enterprise sales methodologies (Strategic Selling, SPIN Selling, Challenger Selling) at professional level. 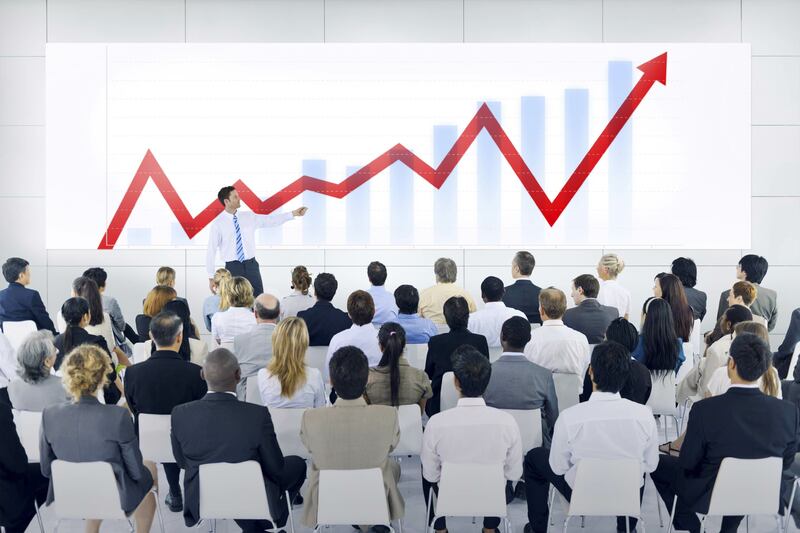 Furthermore, in the same training, we will touch base on Presentation Skills, so your team will have a complete sales & marketing overview. It will be a very live and interactive event, with real-life examples and breakout sessions. The class will be led by two trainers together who are real IT sales & marketing experts. Speech and presentation materials could be either in Italian or English language, customized to your needs. All presentation materials will be immediately made available in electronic format. Finally, we can design different presentations and programs based on your needs.